Access to Education – Are Children with Disabilities the Left-Behind ? UNICEF in progress on tackling this issue, promising solutions have been offered. 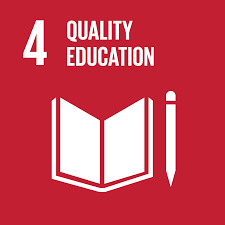 The fourth Sustainable Development Goal seeks to “ ensure inclusive and equitable quality education and promote lifelong learning opportunities for all.” While literacy rates and elementary school attendance rates have improved for both boys and girls, children with disabilities still face many obstacles on their road to schools. The UNICEF agency has mentioned possibilities for technological solutions. However, they acknowledged that beyond the lack of technological means and infrastructure, the root of the issue is social discrimination children with disabilities might face at school. The Ethiopian delegate, Stephanie Cech, emphasized the need to conduct research in order to combat the root of this issue. She wants to understand why the current Ethiopian laws in place are not working and what can be changed. Stemming from the results of this research, appropriate effective actions would be implemented. The majority of the committee agrees that awareness campaign are an effective tool to prevent the exclusion of children with disabilities. Conferences or activities in schools, involving both children and parents, can help sensitize and educate the population. While the UNHCR was working on a resolution to combat the global issue of human trafficking, two blocks formed. While they shared common goals, their means to attain it greatly differed. The goals were clear : protect refugees and migrants as they represent the main victims of human trafficking, provide Center of Rehabilitation in order to help the victims recover both physically and mentally and raise awareness among the population. India and Venezuela (part of the first block). If the two blocks agreed on these priorities, they offer different solutions. For instance, the block led by France, Turkey, South Korea and, Venezuela, believed NGOs are an unreliable primary sources of fundings. In order to address the issue of lack of financial resources, they offered the solution of building an intergovernmental partnership, where developed countries provides funds to developing countries in exchange for free trade agreements. This group also came up with the idea of creating a hotline. Victims would be able to call a number at any time if they find themselves in danger or if they just want more information on the subject. To prevent women kidnapping, this group also suggest the implementation of safe spaces where they can speak up freely without fearing any reprisals. The first group discussing their solutions. The second block led by South Africa, Japan, Italy and Poland are convinced that NGOs have a considerable role to play in raising funds and awareness. Overall the two blocks at the UNHCR have the same goals: protecting refugees, offering them shelters, and raising awareness. But the means to reach these goals greatly differ. However, a compromise quickly needs to be found given the emergency of the situation on the ground. Older PostWILL THE WORLD BE HUNGER FREE BY 2030?